NeoPaint is a replacement for the program that is included with most versions of Windows (known as Paint or paint.exe). 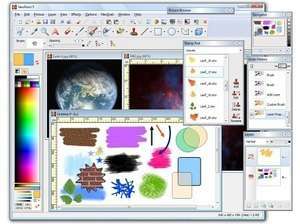 It includes the same basic design and layout of Windows Paint but includes a number of improvements, additions and tools which users find helpful. Unlike the Paint program included with Windows, NeoPaint can perform multiple undo and redo actions and supports a multitude of different digital cameras and scanners connected to your PC. NeoPaint 5.3.0a is a shareware program and can be used as a demo to try the software until the free trial period has ended. A full version of the program is available after the trial period ends. For security reasons, you should also check out the NeoPaint download at LO4D.com which includes virus and malware tests. Additional screenshots of this application download may be available, too.